My best response is by way of an experience relayed to me by another hiker I came across a few years ago. This hiker was undertaking a two week long trip and due to recent heavy rains had to traverse a gully on the Larapinta Trail that involved him wading in water almost up to his chest level. He held his pack up above his head but part way through the crossing dropped his pack into the water. He quickly managed to retrieve the pack but not before it had submerged. While the majority of his gear managed to survived, albeit a little damp, his SLR camera wasn’t so lucky. Even worse it wasn’t his camera, he had borrowed it from a friend. 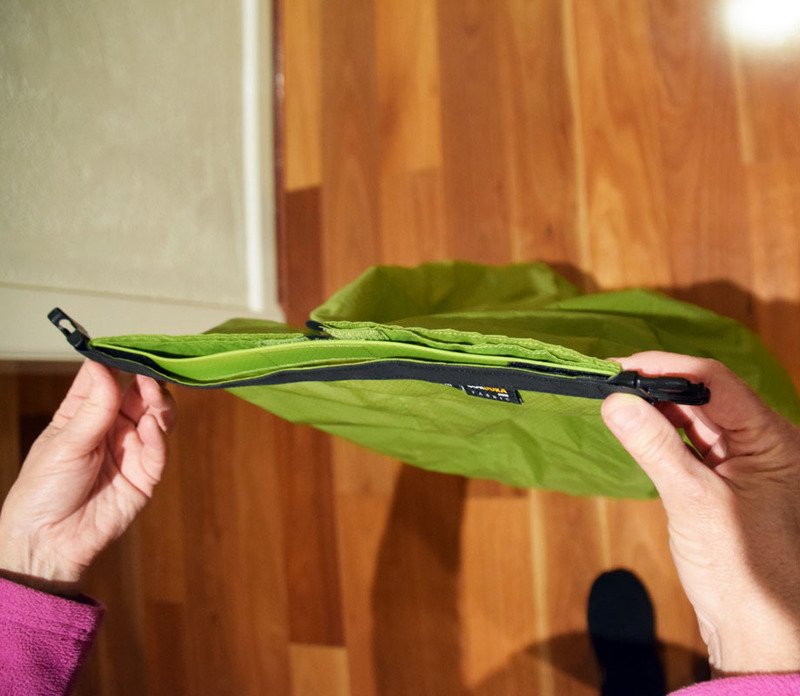 In this instance a pack cover which is designed to keep rain off the pack is of limited help. The other issue with pack covers is that in torrential sustained rain they will not usually prevent water entering your pack as the water will run down your back and soak in through the pack from the outside in. For me a pack liner is a non negotiable piece of equipment on all overnight hikes as well as those day hikes where I am expecting rain or know that I have water crossings as I am usually carrying an array of electronics to blog and podcast . 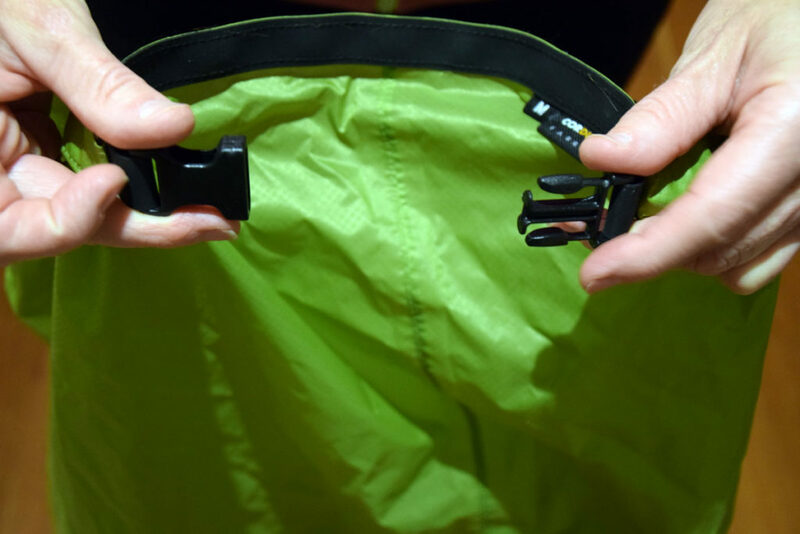 If used correctly they will prevent water entering your pack, not only preventing your expensive bits of technology such as cameras, phones and iPads from getting wet but also ensuring you have dry clothing and sleep gear at the end of the day. In addition to providing a waterproof layer, these pack liners also provide protection from fine dust and grit which is all too common in arid Australia. These pack liners come in three sizes; 50 litres, 70 litres and 90 litres and you match the dry bag size to the corresponding pack size. A word of warning here. If you have a full 5o litre pack and a 50 litre pack liner, you will be cutting it fine with the roll top closure. 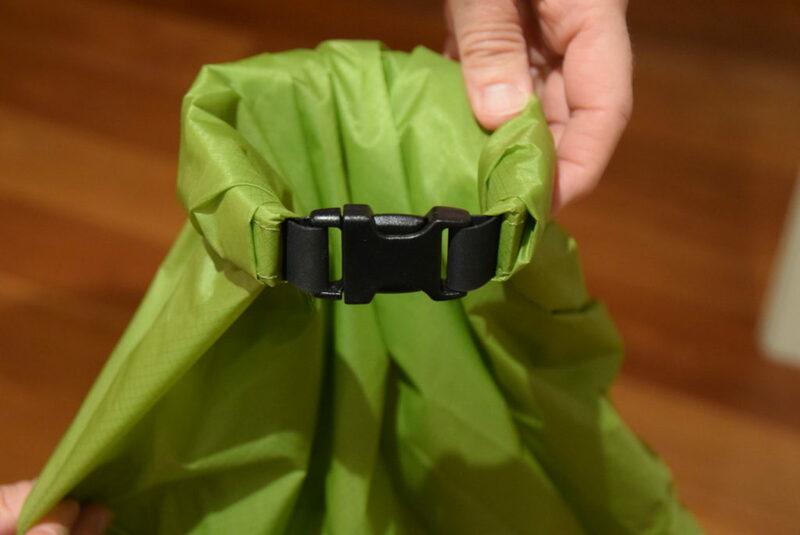 As it sounds, the roll top needs to roll over to provide the water protection and if the dry bag is overly full then you won’t be able to get a complete seal. I am currently using an Osprey Exos 48 pack (51 litres capacity for the large size). 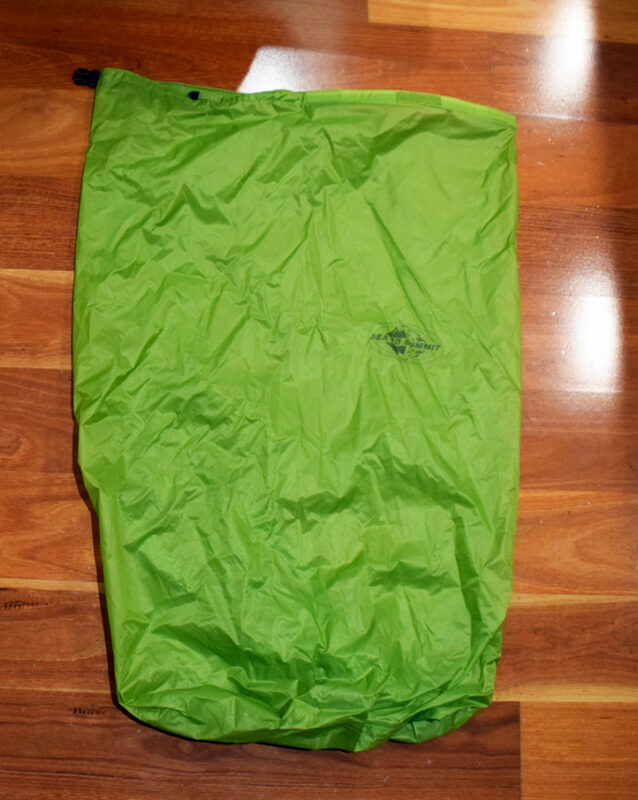 When my pack is full to the brim for a long trip, the 50 litre dry bag is well and truely to small. I used to use the 70litre pack liner but with eight days of food I prefer the extra size as it allows me to get a good rolled over closure which is what provides that decent water proof seal. 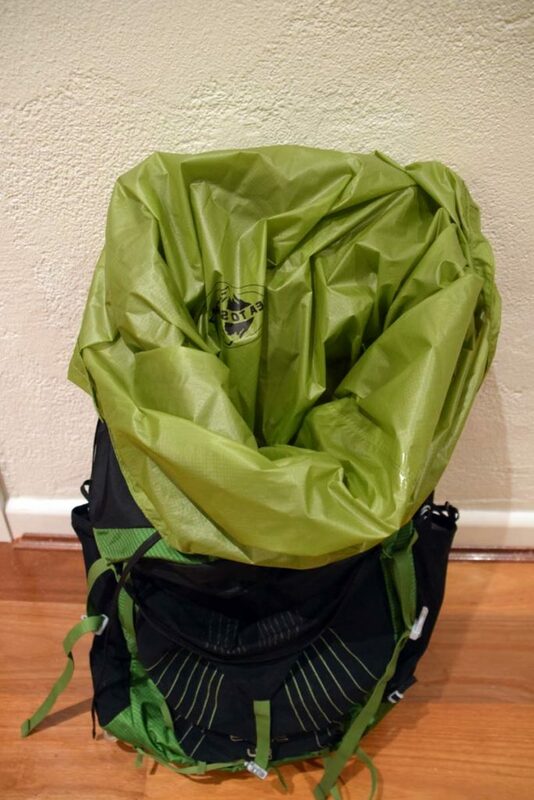 I used this size dry bag on my 2018 Bibbulmun Track hike in conjunction with an external rain cover and even though I had torrential rain for a number of days none of my equipment got wet. Now I’ll fess up here and say that I also pack all my gear within my dry bag into smaller Exped Zip Packs. While I mainly use these smaller packs to keep my gear organised they also provide an extra layer of waterproofing. This means that in the unlikely event I do have to get gear out when its raining there is minimal risk of everything getting wet.